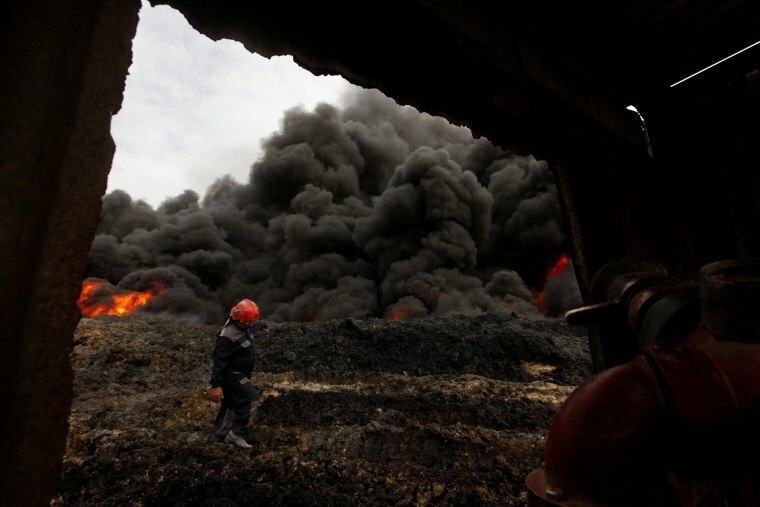 Smoke rises from oil wells set ablaze by Islamic State militants before fleeing the oil-producing region of Qayyara, Iraq, Nov. 1, 2016. 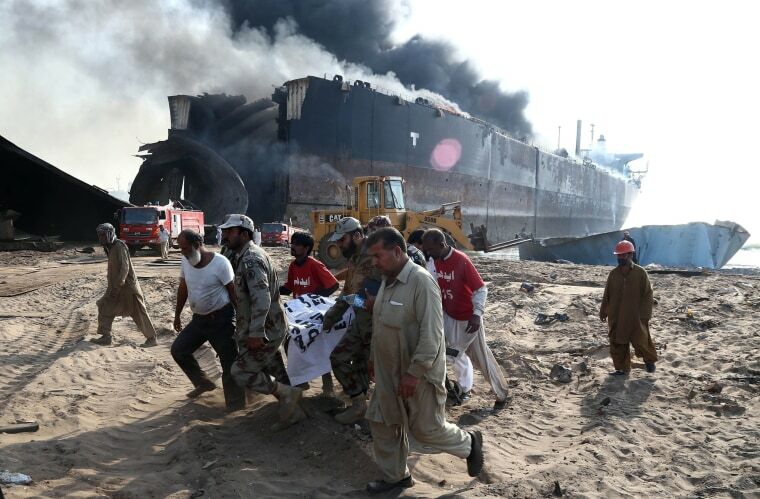 Pakistani security officials carry the body of a victim who was killed in an explosion at a ship breaking yard in Gaddani, Pakistan. Reports state that at least nine workers were killed and more than 100 were wounded in the blast. A man walks in Karo on Sumatra Island as Mount Sinabung spews volcanic ash. 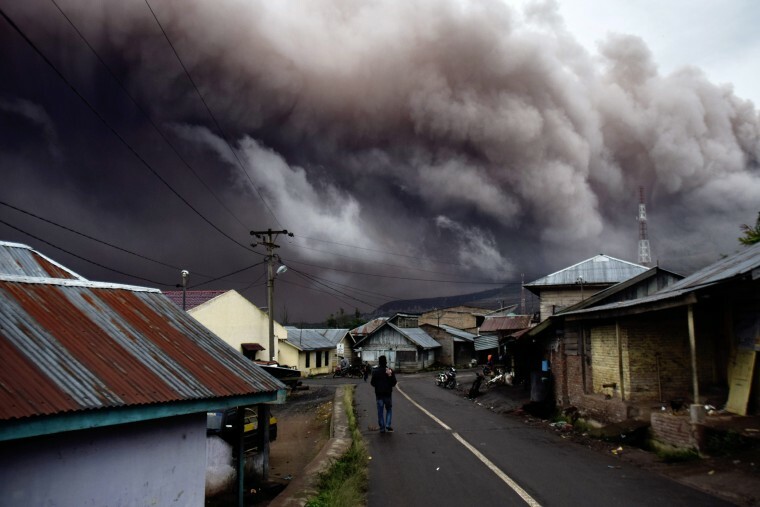 Sinabung roared back to life in 2010 for the first time in 400 years and after another period of inactivity it erupted once more in 2013. 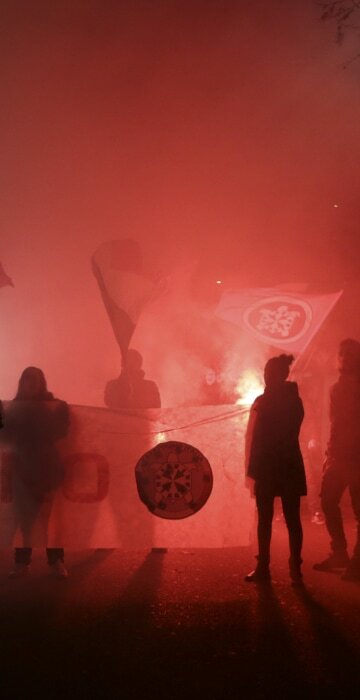 It has remained highly active since. Timothy Cardinal Dolan, the Archbishop of New York, is joined by Rockettes Jessica Davidson, Lauren Renck, Christine Sienicki, and Christine Walsh Warren, for the blessing of the animals used for the live nativity scene in the annual production of the 'Christmas Spectacular Starring the Radio City Rockettes' at Radio City Music Hall in New York. 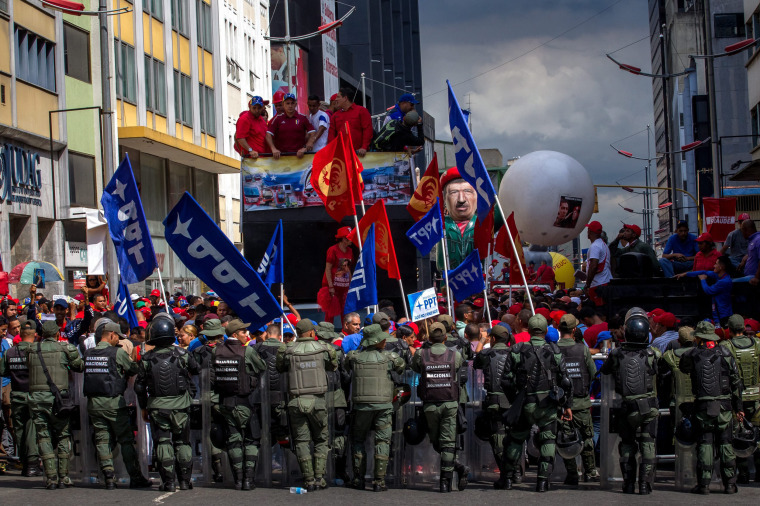 Members of the Bolivarian National Guard block the path of a march by followers of Venezuelan President Nicolas Maduro, in Caracas, Venezuela. Hundreds of supporters took part in the demonstration outside the National Assembly in Caracas to protest the process against Maduro after the suspension of the referendum aimed to oust him. 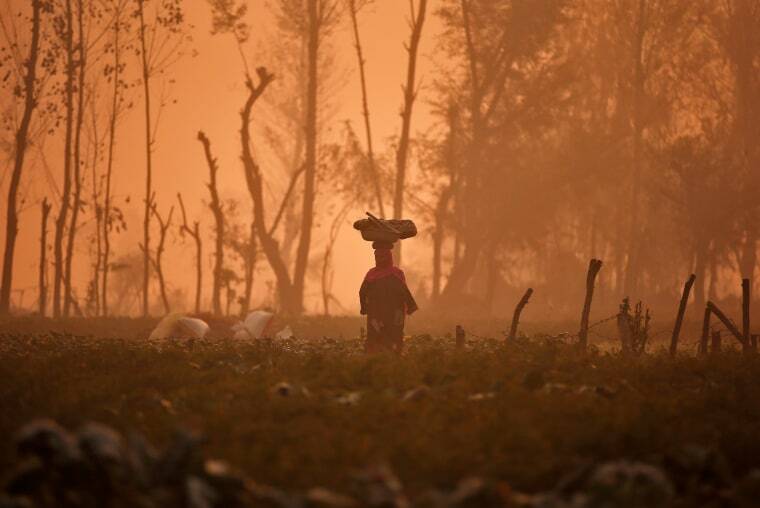 A woman carries a basket on her head through a field of vegetables on a foggy morning on the outskirts of Srinagar in the Indian state of Jammu and Kashmir. 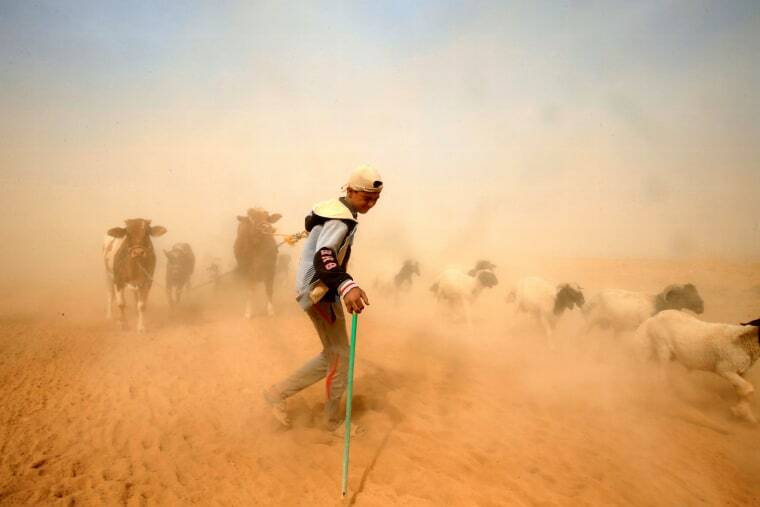 A displaced Iraqi boy leads his animals to safety after escaping from the Islamic State controlled village of Abu Jarboa during clashes with ISIS militants near Mosul, Iraq. 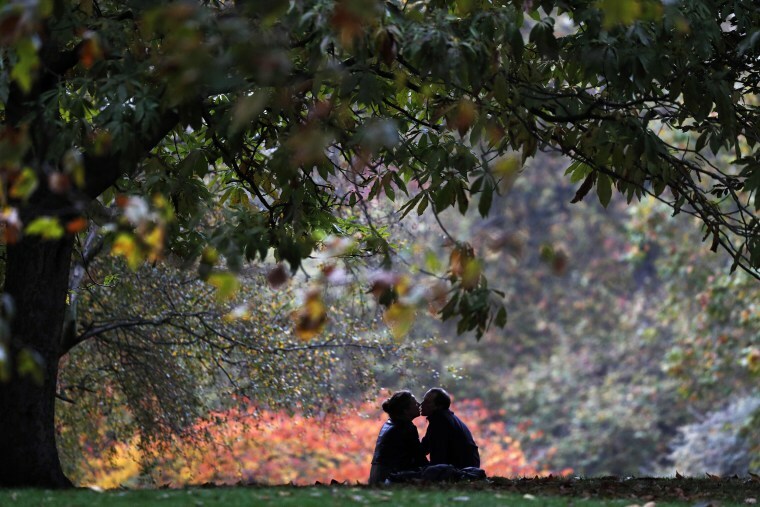 A couple kisses beneath a tree in St. James' Park in London. 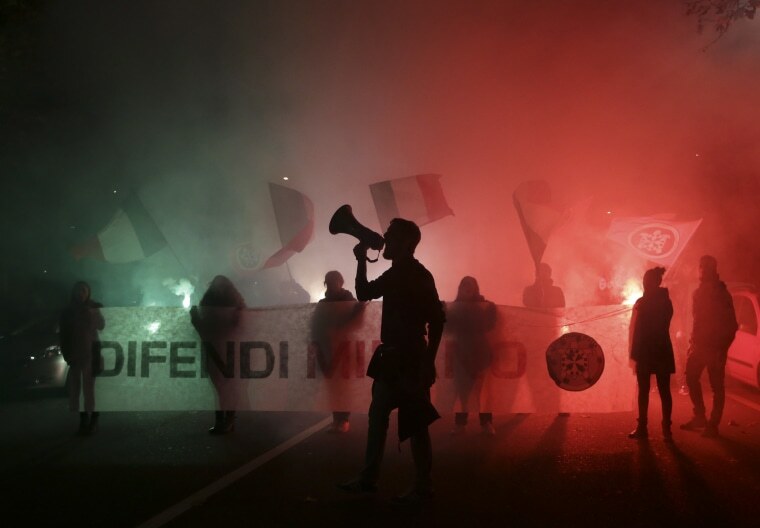 Right-wing activists from CasaPound demonstrate outside the former Montello barracks, where migrants are being transferred to a state-run facility in Milan, Italy.